So as well as spending most of my time talking about clothes and make up, I also love to bake. I thought I'd post a few simple recipes on here, as they're quick and simple, but best of all, taste fab. 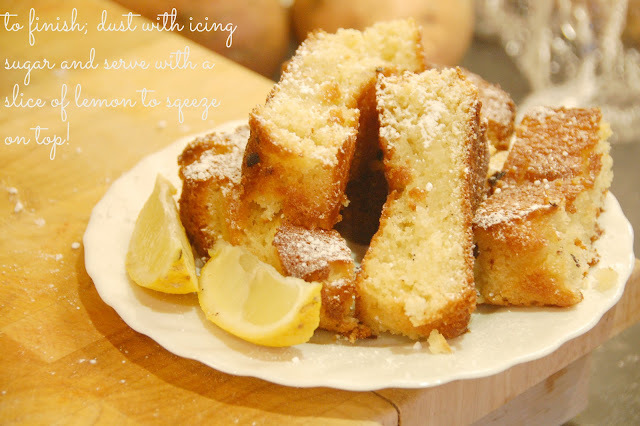 This lemon cake recipe is my dad's absolute favourite, and in true cliche Italian style, is apparently "better than Mama's" so here you are! Let me know if you try it out! Cream the butter and sugar together until it forms a thick, creamy consistency, crack the two eggs & add baking powder, stir and follow with vanilla extract. Using your zester/grater, add the zest of both lemons and the juice of one (it'll be quite tangy with a whole lemon, so add to taste!) and fold in the flour. Beat until you have a smooth mixture. 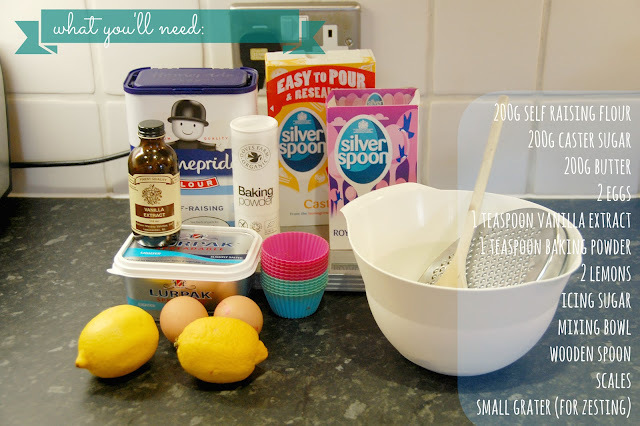 Spoon into either cupcake cases, a loaf tin or a standard circluar tin, the mixture is enough for one loaf and 6 cupcakes, or two 6'' sponges. Bake at 180o for around 15-20 minutes, until it's golden. Poke with a skewer or knife, if it comes out clean, then it's cooked. Whilst it's cooling, mix a heap of icing sugar (I go by eye!) 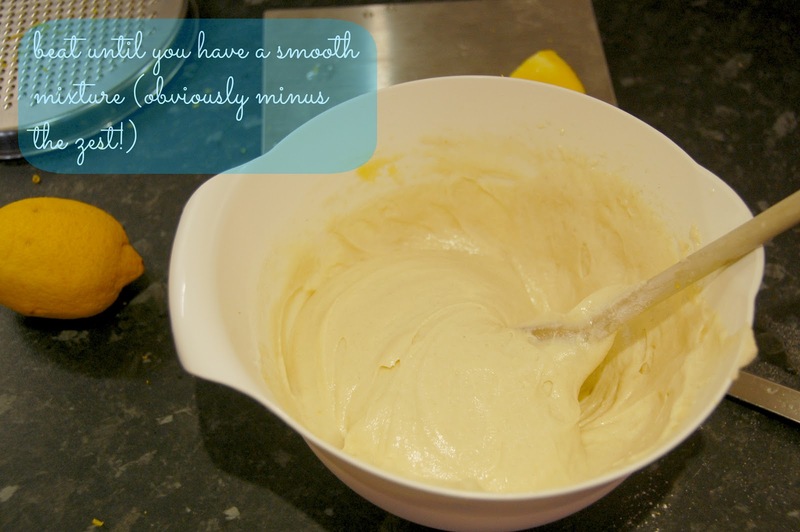 with half a lemon and a tablespoon of water until it's got a really loose consistency and it almost clear. Poke holes in your cake, so that the icing can be absorbed and then drizzle all over the cooled cake. Et Voila! Best enjoyed with a shot of limocello, or a cup of tea, if you're not feeling as frisky. Enjoy!